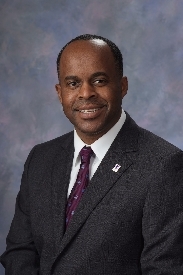 MACOMB/MOLINE, IL -- Dr. Jack Thomas, provost and academic vice president at Western Illinois University, has been named the University's 11th president, effective July 1. "We would like to express our appreciation to the presidential search committee for bringing forth an impressive slate of candidates. After the on-campus interviews and meetings with each candidate, the board determined that Dr. Thomas was the candidate who would continue moving Western forward and build upon the excellence and accomplishments we've been fortunate to experience during the past 10 years," said Michael Houston, chair of the WIU Board of Trustees. "We are so pleased to have Dr. Thomas serve as the 11th president of this great institution. He is a proven leader and is a dedicated educator. Dr. Thomas is clearly aware of -- and ready to tackle -- the issues facing higher education," Houston added. "He has great enthusiasm and the motivation to continue Western's reputation for excellence." The board set Thomas' annual salary at $250,000, plus $25,000 in a retirement annuity. He will succeed Al Goldfarb, who will retire June 30 after nearly 10 years as WIU's 10th president. "This is a very humbling experience, and I am honored to be chosen as the 11th president of Western Illinois University. I am so thankful and blessed," Thomas said. "I would like to thank the Board of Trustees for their confidence in me, the presidential search committee for their diligence and President Goldfarb, my fellow vice presidents and the University community for their support. "I came to Western because I believed in its mission and vision. I believed in this institution's values and its commitment to students. If it had not been for public universities like Western, I would not be where I am today," he added. "I know I have big shoes to fill. Dr. Goldfarb has done an excellent job in making sure Western is at the forefront, and I plan to continue to enhance the recognition of our great University." Thomas has served as provost and academic vice president at Western since January 2008. Under his leadership, WIU has established new academic programs in engineering, nursing, anthropology, museum studies and religious studies. He also enhanced the academic program review process; rebuilt and revitalized Western's summer school program, including offering more courses, both on campus and online; supported new accreditation or re-accreditation for 15 academic programs; expanded articulation agreements with Illinois and Iowa community colleges and select four-year institutions; and increased online course offerings. Under his direction, the University has increased external grant funding and has developed underrepresented dissertation fellowship, visiting professorship and post-doctoral fellowship programs. Thomas has served as a recruitment representative at the Compact for Faculty Diversity's Institute on Teaching and Mentoring, the nation's largest annual conference for minority Ph.D. students and recent graduates; implemented the University's Professional Achievement Award; worked with University Technology to upgrade electronic classrooms; and created the Provost's Advisory Council. "As president-elect, I plan to work with all constituencies to continue to move this outstanding institution forward as a leading university in Illinois and beyond the state's borders," Thomas noted. Previously, he was the senior vice provost for academic affairs and professor of English at Middle Tennessee State University (MTSU), Murfreesboro, and also served as the vice provost for academic affairs and as the interim dean of the College of Continuing Education and Distance Learning at MTSU. Prior to joining the MTSU faculty, Thomas was a professor of English at the University of Maryland Eastern Shore, Princess Anne, MD, and director of the University of Maryland Eastern Shore Scholars Program. Thomas also served as interim president at Maryland Eastern Shore, as well as executive vice president, associate vice president for academic/student affairs, executive assistant to the president, chair of the department of English and modern languages, associate professor of English and coordinator of freshman English and assistant professor of English. Thomas also was the assistant track coach at Maryland Eastern Shore for eight years. He has taught English and coached at South Carolina State University and at Johnson C. Smith University. He earned his doctorate in English literature and criticism from Indiana University of Pennsylvania; his master's degree from Virginia State University; and his bachelor's degree in English from Alabama A & M University. Thomas is also a 2005 graduate of the Harvard Institute for Management and Leadership Education program. Thomas and his wife, Linda, have two sons. Patrick is a sophomore at Western Illinois University, and Darius is a sophomore at Macomb Senior High School.